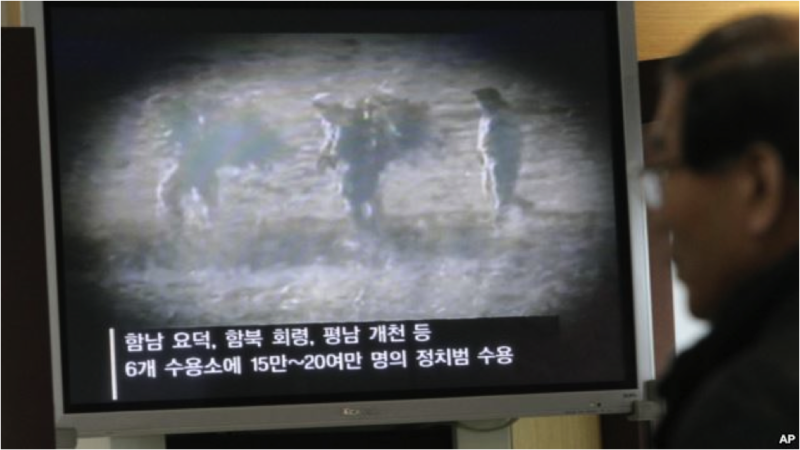 At Panmunjeom, south of the DMZ, a visitor is watching video footage of a political prison camp in North Korea. People point out that the North Korean human rights issue deteriorated last year. We examine how the human rights situation will pan out in the new year with journalist Yung-kwan Kim. Anchorman: There were many occurrences inside and outside North Korea which affected human rights last year, weren’t there? An anchorman: What is your view on North Korea human rights issues this year? Journalist: Many human rights organizations anticipate that the human rights situation in North Korea will not improve this year. Greg Scarlatoiu, Executive Director of the Committee for Human Rights in North Korea, pointed out three trends indicating that the outlook for this year is not bright. Anchorman: It seems that North Korea’s dismal and deplorable human rights situation will continue this year. Journalist: That is right. Human rights organizations are especially concerned with the possibility of an expansion of the political prison camps. The UN and human rights organizations estimate the current number of prisoners to be between 80,000 and 120,000, but that number is likely to increase. Anchorman: Why do you think it will increase? Journalist: That is because Kim Jong Un, the first secretary of the KWP secretariat, has been trying to strengthen his own regime through measures including the execution of his own uncle. According to sources inside North Korea, those families who were close to Jang Song Thaek have been imprisoned in political prison camp 15 at Yoduk. South Korean Minister of Unification Ryu Gil-jae also said, on December 30, that the purge in North Korea continues. Journalist: Yes. Some say that Jang’s execution brought more light to the human rights issue than even the UN Commission of Inquiry (COI). The execution has reminded the international community about political prison camps in North Korea. What we have learned is that North Koreans who attempted to defect to South Korea but were apprehended are no longer held in Kyohwaso (long-term prison labor facilities where prison terms are generally assigned), but in Kwanlisos (political prison camps, where imprisonment is generally indefinite). 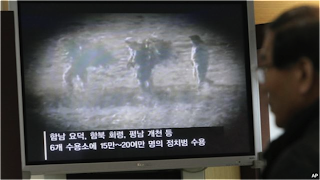 North Koreans caught watching or distributing smuggled South Korean TV shows have also been sent to political prison camps or executed. Due to these developments, the number of political prisoners is likely to increase. An anchorman: What kind of response do you anticipate from the international community? Journalist: The international community will strengthen their pressure against North Korea more than ever. That is because the UN Commission of Inquiry (COI) will release their final report about the North Korea human rights. Here is a comment by Greg Scarlatoiu, Executive Director at The Committee for Human Rights in North Korea, about the UN Commision of Inquiry’s report. If the UN Commission of Inquiry’s final report confirms that the North Korean regime has been committing crimes against humanity, the international community will intensify efforts to focus attention on North Korean human rights violations, and step up the pressure meant to bring about positive change. Anchorman: What stage is the COI’s final report in? Journalist: According to UN sources in Geneva contacted yesterday (December 31st), the first draft will be completed around the middle of January, and it will be viewed by members of the council of the United Nations. The report will be finalized in mid-February, and it will be officially submitted to the U.N. Human Rights Council in March. Anchorman: What is the UN’s next step after releasing the final report? Journalist: It depends on the result of the final report. The report’s recommendation will be essential in eliciting an international response. If determined that crimes against humanity have been committed, this could lead to further debate within the U.N. The UN Security Council could refer the case to the International Criminal Court. However, experts estimate that China and Russia will not be on board. Because of this, other suggestions have been made, such as creating a U.N. ambassadorship to North Korea, tasked with promoting human rights and managing humanitarian assistance, including North Korean human rights issues in the permanent agenda of the U.N. Security Council, together with the nuclear issue, or establishing a special tribunal similar to the one established to address the Khmer Rouge genocide in Cambodia. Anchorman: Many nonprofit organizations were very active last year. What do you think about this year? Journalist: I anticipate that these nonprofit organizations will be more active this year. Human Rights Watch, headquartered in New York, is currently looking to hire a Seoul-based researcher. Amnesty International, headquartered in New York, is planning on expanding its field research. The Committee for Human Rights in North Korea, headquartered in Washington, D.C., is planning on continuing its collaboration with organizations with a longstanding tradition of addressing human rights abuses, such as Holocaust Museums in the United States, aiming to dismantle North Korea’s political prison camps. Anchorman: We have looked at what the international community should do regarding North Korean human rights in 2014, with journalist Kim Young-kwan.